In Northeastern Arizona, fifty miles south of Kayenta, we stopped at the lightly visited Navajo National Monument. Even today, with the lure of free camping, it rarely draws a crowd. Leaving Highway 160 during our 1965 visit, we encountered a newly paved road covering the thirteen miles to the monument. Like most National Park Service (NPS) roads of the era, the engineers designed it for minimum impact on its environment and for speeds of less than forty-five miles per hour. 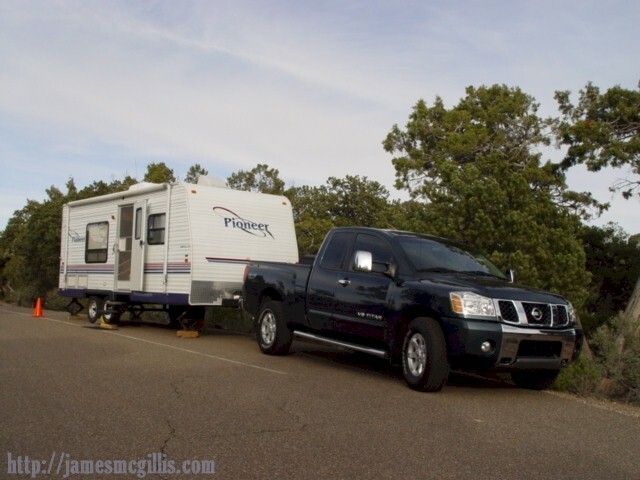 Upon arrival at the monument, we found a new visitors’ center and a campground with about thirty spaces. The older, more rustic campground remained unimproved. Navajo National Monument is a misnomer, honoring the fact that early Anglo-American visitors associated its ruins with the Navajo Nation, within which its boundaries lie. Craig Childs, in his 2007 book, House of Rain, identifies the area’s early occupants as the “Kayenta Anasazi”. By 1300 CE, after only fifty years of occupation, the Kayenta Anasazi abandoned these, among the last of their alcove dwelling sites. Thus, the monument’s Betatakin and Keet Seel ruins rank with Mesa Verde and Hovenweep as the last redoubts of a vanished culture. The spring-fed, relict forests in the monument’s canyons attest to the relatively recent drying of a once abundant environment. Times change, people change, but after his death in 1989 at age 62, Abbey's consciousness on earth evolved no further. Abbey was both a naturalist and a sometimes naturist. His gift was an ability to describe for his readers the natural wonders of America’s deserts and the Colorado River. As a self-proclaimed anarchist, he waxed poetic in his fight with the federal government, which he saw as either disinterested or incapable of conserving those unique and unspoiled natural resources. 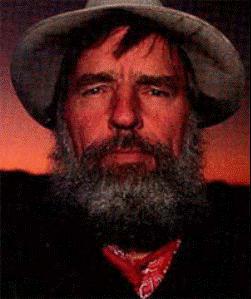 Although his only documented anarchistic act was to pull up some road survey stakes at Arches, Edward Abbey often receives credit for inspiring such troglodytic and destructive groups as the Earth Liberation Front. The counterculture energies of the 1960s coalesced around protest, as exemplified by the movement against the Vietnam War and “tree-spikers” in the Northern California Redwoods. It was an age of “pushing against”, whose legacy is with us still. Our “wars” on poverty, terror, drugs and teenage pregnancy are but a few examples of our vain attempts to fight against that which is intangible. That morning, I sat quietly in the campground that Abbey decried as a modern abomination. There, I opened a channel to Abbey’s non-physical consciousness. Feeling that angst and anger at the time of his death may have trapped him in the near-earth realms, I asked his spirit to accompany me on a tour of the area. 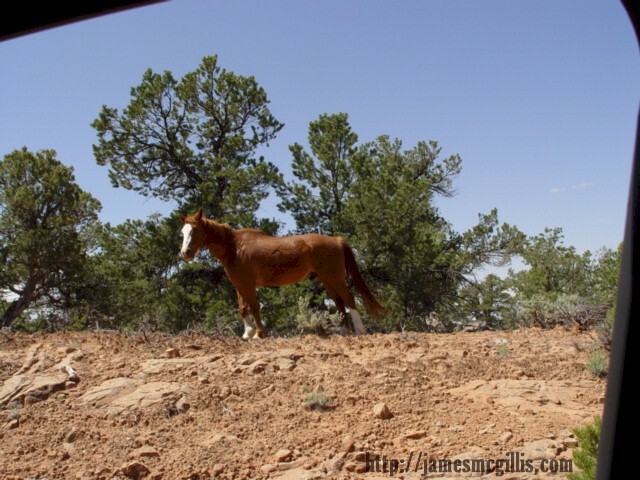 Although there was no verbal or visual communication between us, I like to think that I allowed his spirit to see Navajo National Monument as I knew and loved it. Bypassing the visitors’ center, we walked along the pathway towards the Betatakin (ledge house) Ruin, about a mile away. In an attempt to protect these fragile alcove dwellings, the NPS placed its only Betatakin viewpoint on the rim of the canyon opposite the ruins. If you visit, remember to take your field glasses. Since Betatakin’s natural amphitheater amplifies sound energy, signs admonish visitors not to make loud noises. As with the Walls of Jericho, a single loud noise could weaken or destroy this well-preserved pre-Puebloan settlement. Returning on foot to Abbey’s despised campground, we found its thirty spaces artfully sited near the western edge of Sunset Mesa. From its 7500-foot elevation, the terrain falls away gently for fifty miles, all the way to Lake Powell, Arizona. 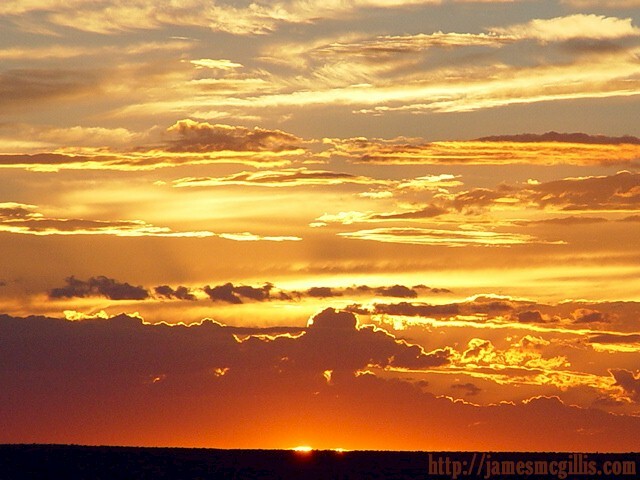 The aptly named Sunset Campground provides among the longest views in the Four Corners. Even today, the campsites accommodate rigs no longer than thirty feet, so the larger RVs must go elsewhere. Tap water is available, but there is no store, public shower or RV sanitary dump. During his two summers at the old Arches National Monument, Abbey lived in a thirty-foot house trailer. I smiled in disbelief that his spirit might wish to deny others a brief but similar physical experience in this beautiful place. Later, as I drove away from Navajo National Monument, I reflected on the term “arrested decay”, coined to describe preservation activities at Bodie, a ghost town in California. By limiting direct access to these sites, the NPS has done what it can to arrest the decay of ruins at Navajo National Monument. From its visitors’ center to the roads, trails and campground, the NPS seems to have listened to Edward Abbey’s spirit. After its 1960s improvements, the monument has changed very little over the past forty-five years. 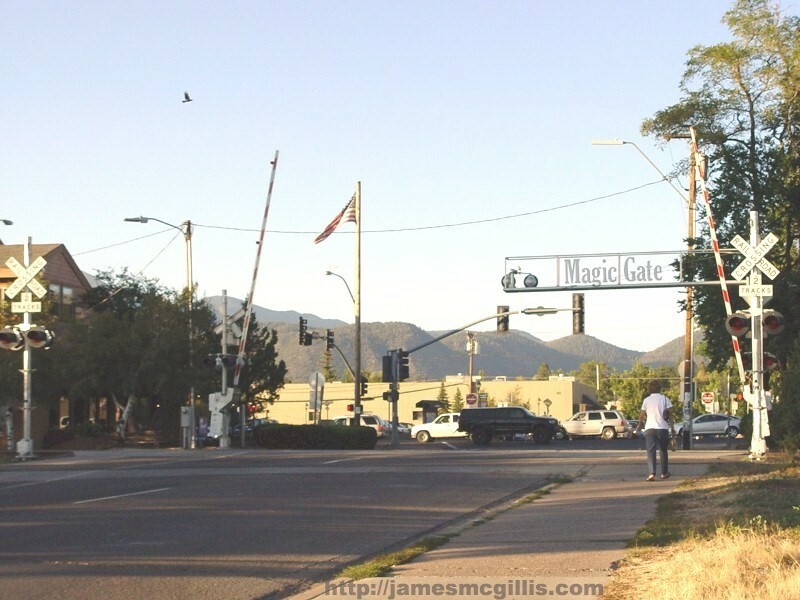 In 1965, after two weeks in the Four Corners, my father and I again crossed through the magic gate, represented by the Santa Fe Railroad grade crossing at Flagstaff. From there, we retraced our route back to Los Angeles. After returning home, I entered my senior year in high school, then on to college and work life. For the next forty years, as did our old snapshots, memories of the Four Corners faded from my mind. 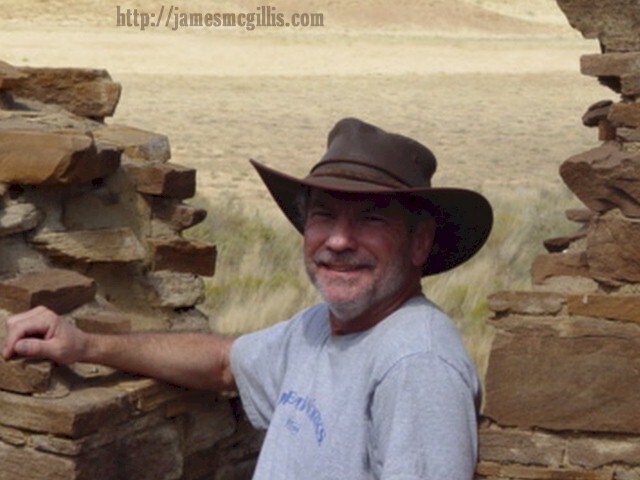 Each year since 2004, I have made it a point to travel and live for a time somewhere in the Four Corners. 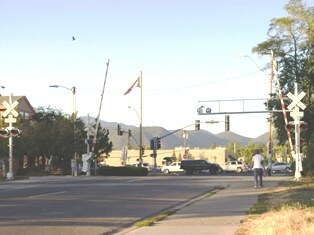 While writing this personal history at my home, near Los Angeles, I could feel the Four Corners calling to me. Three months from now, I shall pack my belongings and enter again through the magic gate to what some call Indian Country and others call the Four Corners.